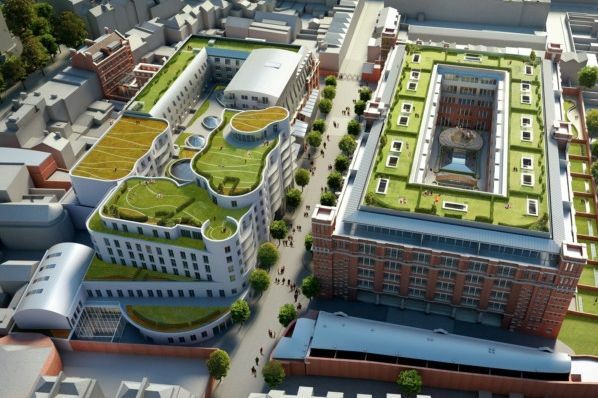 Islington Square comprises of 371 mixed use apartments constructed within two new RC frame buildings and a redeveloped Victorian Royal Mail sorting office, of which the external facade has been kept and restored. Within the development there will be a number of cinema lounges, endless swimming pools installed to the roof of the penthouse apartments, leisure centre and gym and number of restaurants and retail units. There are also 108 serviced apartments along with a number of intermediate, affordable and private apartments. All of which is to achieve BREAM “Excellent” standard.